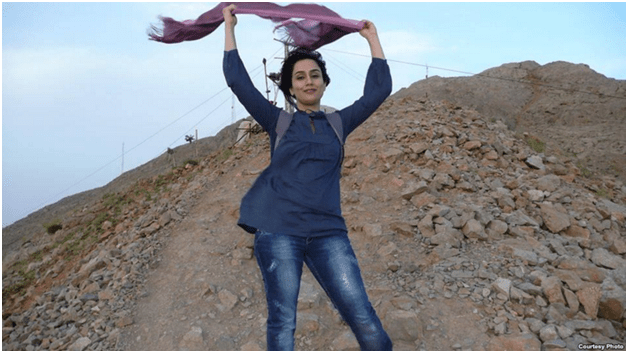 #MyStealthyFreedom is a campaign that invites women from all over the world, to Iran, where they can come and post a picture of themselves with their hijabs off. Many women have taken an active part in promoting this campaign. Not only are Iranian women putting up pictures of themselves with their hijabs open and flying in the wind, their hair embracing the breeze, but visitors have also started promoting the cause by doing the same. One should be given the liberty of choosing what he or she wants to wear, what they want to eat or drink, or when they want to travel. It’s as simple as that. You know there will never be any such mandatory rule regarding men’s clothing. Nobody asks a man not to wear shorts because it is too short, or wear a hijab to veil their face. For Iranian women, a dress rule had been imposed in 1979 after the Iranian Revolution, which made it compulsory for women to cover their hair in public. Change must be initiated; freedom must be conquered. Equality is everybody’s right. No woman should be treated as a second-class citizen. No woman should need her husband’s consent in order to obtain a passport. No law should state that a husband can ban his wife from traveling, anytime he pleases. This one minute video below portrays women who are celebrating one minute of freedom by taking off their hijabs. Indeed, it is a delight that women are finally initiating change themselves, and refusing to conform to these age-old rules that restrict their movement and dressing-habits. Share this post on your wall to support the cause. Previous articleHow To Judge People?